In Borno, North-eastern Nigeria, the Boko Haram terrorism has thrown up many soldiers fighting tirelessly to thwart BH's dehumanizing actions of killings, bombings and abductions. Outside the conventional Nigerian Armed Forces and the Civilian Joint Task Force (JTF) taking on the BH terrorists, there is another army that shoots in Borno as well. Mohammed Chiroma is a soldier in this army that shoots to counter-narrate the, often, scary news that regularly come out of Borno state. He does this by shooting photos that seek to dispel the stereotypes and misinformation with which news and stories of Borno state are painted. 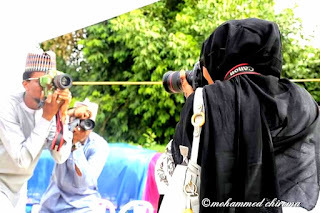 Using their cameras, photographers like Fati Abubakar, Rahima Gambo and many others in Borno state are actively re-telling their stories in rich human colours against the backdrop of the violence wrought on the state by BH. 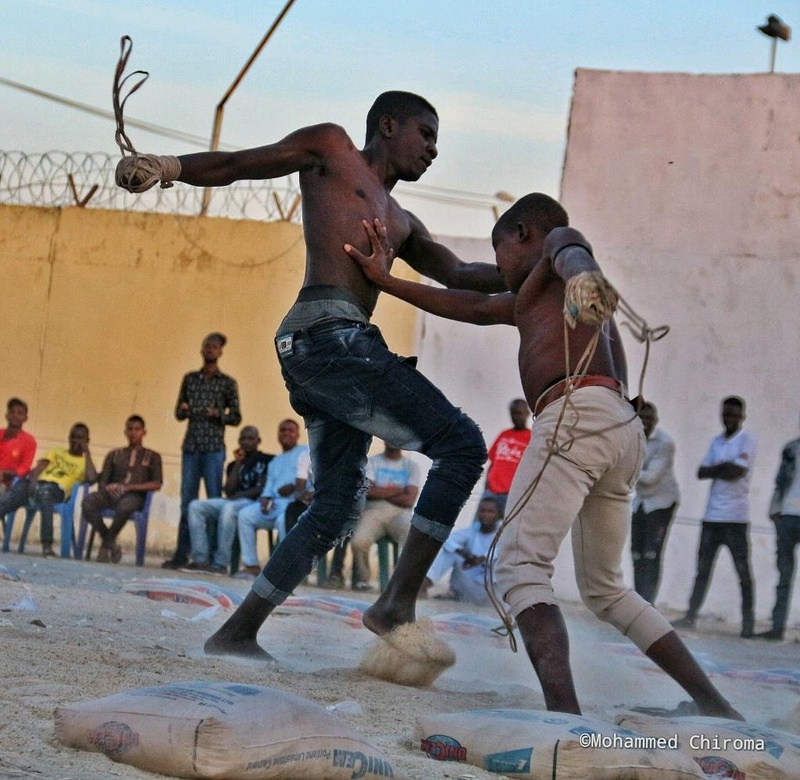 In this first of series of The Arts-Muse Fair’s "Soldiers of Borno" interviews, we bring to you our conversation with Photographer Mohammed Chiroma. Please tell us about yourself, education and work. M. Chiroma: I did my primary school from 1983-89. I then went to Secondary school from 1989-95 after which I did my diploma in law from 1998-2000. I then left schooling and started doing business. I went into university in 2005 to study English. I did not make it there. I had problem and changed to the Faculty of Education. I still could not make it. I then started a pure water business at home during the peak of the Boko Haram incidences in Maiduguri. Then NGOs started coming in and I saw opportunity in them and got myself a work. Then I developed interest in photography and it became my passion. What would you say pushed you into photography? M. Chiroma: I was using my phone to take photos and posting it on Facebook, and I noticed my my pictures being used by many media houses. As of that time, I din't know anything about watermarks and some ethics of photography. My colleague, Fati Abubakar was always telling me to get a camera because she saw that I have the potentials for photography. Anytime I post a picture, she will just comments with "you need to get a camera". Then I asked my boss Fatima Kyari Mohammed to buy me a camera, but she replied that I had to save money and buy it myself. So, I saved enough and bought my first camera, a Sony 500, a holiday camera. And with the that camera, I started shooting pictures of our distribution work with the Internally Displaced Person (IDPs) and post on Facebook. Then I got invitation from the North-East Regional Initiative (NERI) to participate in a photo campaign on the social media with the hashtag of #Campaign against violent extremism, and #Untold stories of the northeast. I took this car and drove to Maiduguri to safv my life from BH. This became my only possession after fleeing. So, I set up a shop in the car and started afresh, selling things in the neighborhood. Photo: M. Chiroma. We did this campaign after we received training on the basics of photography by two trainers, Blaze Otokpa and Ibrahim (I am Dark Prince). At the end of the campaign, I emerged the winner among the 30 participants. Currently, I am working on three different projects as Special Technical Training Assistant (STTA). Your photos have a strong social focus, on Maiduguri especially. Is it your own way of telling stories about Maiduguri much like Fati Abubakar's Bits of Borno? M. Chiroma: Yes, it is my way of telling the stories about Maiduguri. My friends are not happy with the way I do my photojournalism. They always tell me to report everything that happens. They complain that I don't report the bad things that happen in Maiduguri. They believe that the camera I hold has softened me. 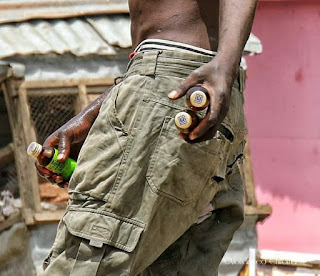 For example, in a recent attack that took place in Maiduguri, I captured some images that if I had released them at the time of the incidence, it could have been a social media sensation, just like the drug addict's picture. But I chose not to. 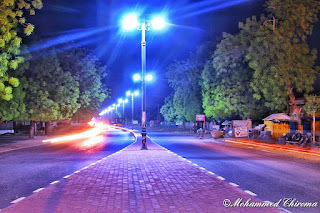 Maiduguri is already in bad shape, the image the media had given it is enough, so why should I add more to it? I realised that I am holding a powerful weapon, which is a canon 700D camera with 18-135mm lens. With this, I can tell whatever kind of story, and there are many things to talk about. 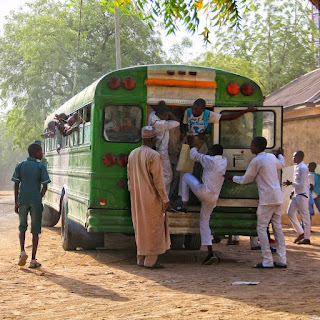 So, I decided to tell good stories about Maiduguri. 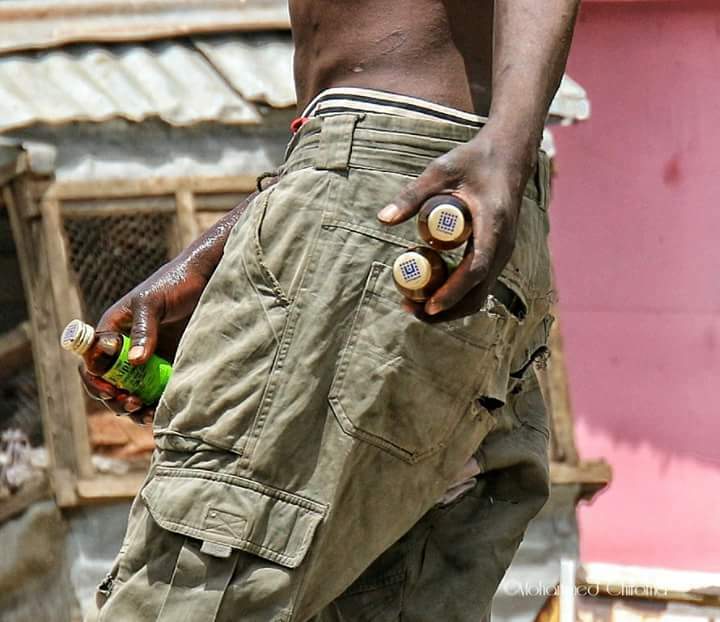 Your documentary photos of the drug addict seemed well-timed with the showing of a BBC documentary on abuse of codeine in the North. How easy was it for you to take his photos? Weren't you concerned about your safety, seeing that he could be violent? M. Chiroma: We all have our ways of dealing with situations. But in the case of this addict, he is just like shadow, and I was with people that know him very well. They were telling me stories of how he ended up like this. I have shots of addicts whom I have taken their shots while they are taking the drugs. It was at the Sanda Kyarimi Park zoo. I tricked them. I ask my friend to throw a branch of leaf in the air very close to where they are taking the drugs, and I knelt completely on the ground with my camera, making them believe that I was shooting the leaf in the air, but I was actually taking their photos. They were inebriated to notice that because while they were looking at how neat I dressed but my had my knees on the ground snapping a leaf in the air. It seemed to them. 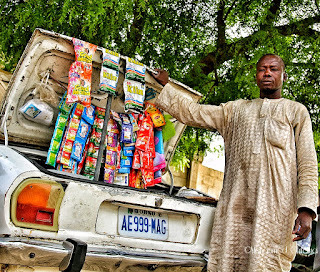 Working in Borno as a photographer demands that you are always out in the streets and public spaces. With Boko Haram still able to make sporadic attacks on the city, how do you manage to keep yourself out of harm's way while out taking photos? 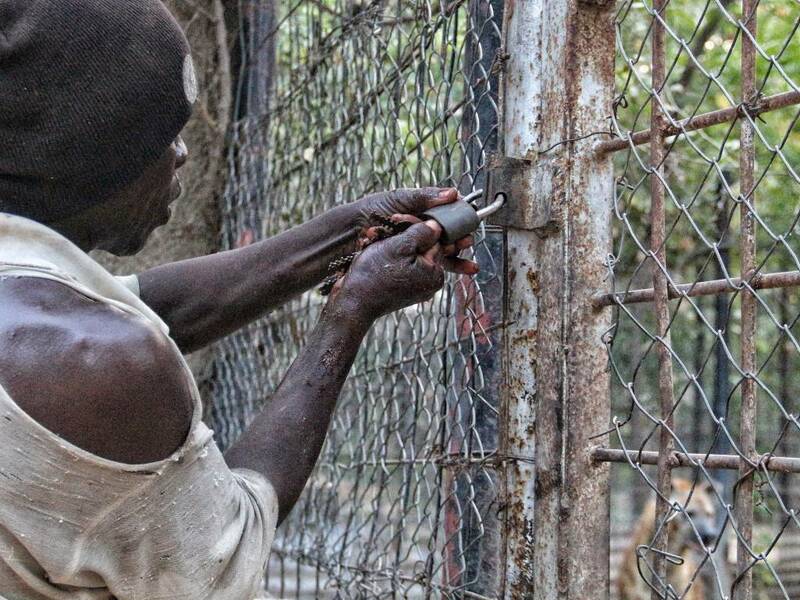 M. Chiroma: Attacks now mostly happen on the outskirts of town and their points of entry are always the same. So, one just has to avoid such places and crowded areas. Fati Abubakar obviously must have inspired you. Where else do you find inspirations for your documentary photography? 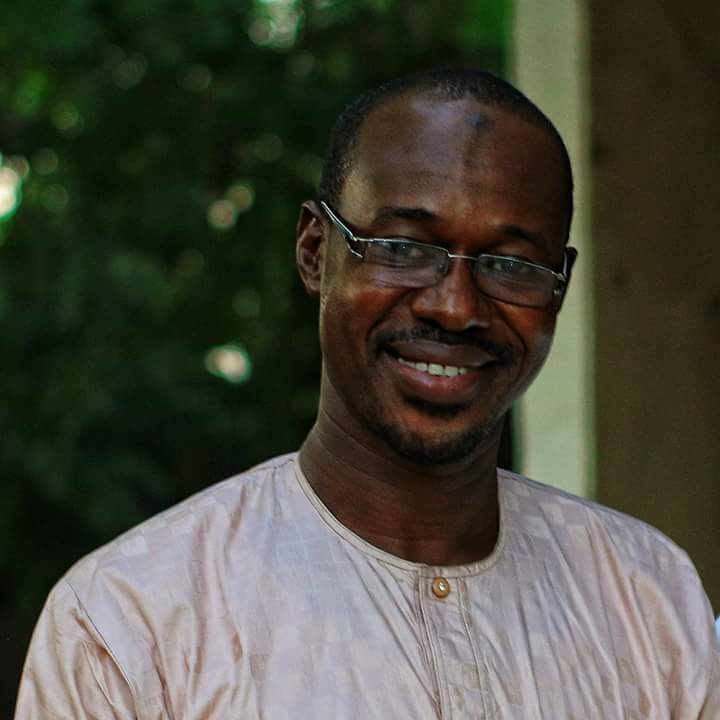 M. Chiroma: Fati Abubakar and I have worked at the same organization before she became what she is now. She did not only inspire me, but helped me a lot. She is my mentor and I am always working closely with her. She is my guide. My interest or I can say where I get my inspiration from is working in the humanitarian field with the IDPs. Whenever I post their pictures with their stories, I see people are very happy knowing what is happening to them, and how the media houses use the pictures. 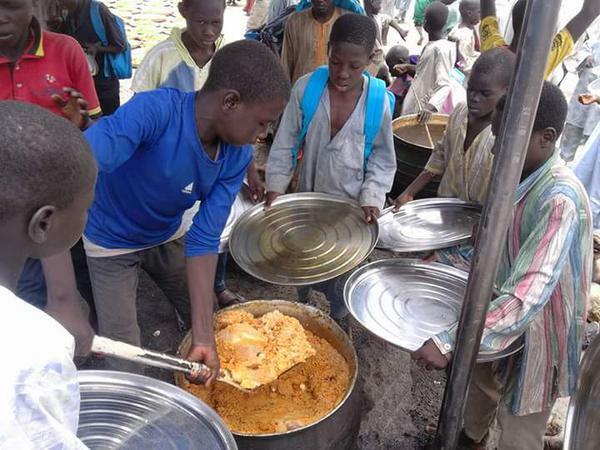 For example, there is one particular picture of IDPs kids in a camp using shovel to serve rice that I snapped with my phone. That picture generated a lot of reaction from people. Many of such photos of mine have gone viral at the time when I had no much knowledge of the power of photography. My friends are telling to do something and get credit for my work, but I tell them that I can't eat from the plight of my people. Have you held any exhibition of your works outside Borno state? M. Chiroma: I have not done that, but I will be happy if one day I will be able to hold an exhibition of my photos. How effective have the watermarks on your photos protected them from theft or misuse? M. Chiroma: It helps a lot, despite that sometimes, some people still crop out my watermark and use the photo with different captions. No one has ever misused my photo in a bad way for now, and the watermark has only made people to give me the credit because unlike before, they now share it. But I could remember one of my photos of an elephant that someone used with a different caption, that wanted to generate negative views, but God saved me. As someone who spent some time in Maiduguri before the insurgency, I never really understood the affinity I had for the place until I returned a couple years into the insurgency then it hit me: It was the life, the warmth and vigour with which the city lived day to day. It is nice to have someone reminding us of what we were and all we can still be.